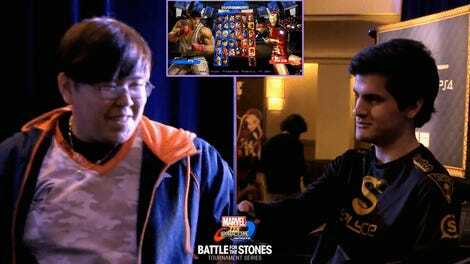 Jonathan “Cloud805" Morales emerged victorious in today’s Battle For The Stones grand finals. After winning, he took not just the trophy and prize money, but the on-stage host, too. 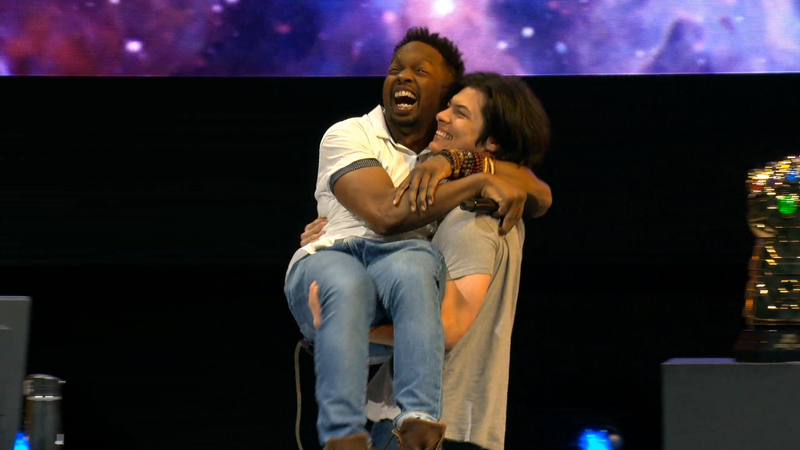 After beating fellow Marvel vs. Capcom veteran Christopher “NYChrisG” Gonzalez 3-2, Morales ended Infinite’s first capstone tournament by hoisting commentator Steve Scott, also known as “TastySteve,” into the air and parading him around the stage. It was unexpected yet touching, a very bro-mantic moment. Morales’ team of Zero and Dante was brutal throughout the set, putting pressure on Gonzalez’s mix of an old favorite (Morrigan) and a new but popular fighter (Monster Hunter). In one moment, when Gonzalez tried to lock Morales into the cage made by activating his space stone, Morales replied with a barrage of projectiles from Zero. Morales takes home $20,000 and a massive Infinity Gauntlet trophy. We’re not quite sure how he will manage to carry the gauntlet and Scott at the same time, but we hope he can find a way.